Centsible Savings: FREE backpack and other FREE school supplies at Staples this week! FREE backpack and other FREE school supplies at Staples this week! 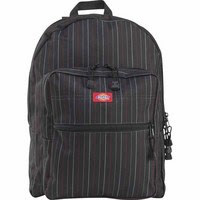 Buy ANY backpack at Staples this week and get 100% back in Staples Rewards!! That means a FREE backpack! There is a limit of one per address. Not a member of Staples rewards? Staples rewards is a free card that allows you to get cash back for purchases made at Staples. You earn 10% back on certain purchases. You also earn $3.00 back in Staples rewards for every ink cartridge that you bring into the store to recycle. Staples rewards are issued in the form of a check or coupon that you can use as payment at your Staples store. If you are a teacher they have a Staples Teacher Rewards program that has even greater benefits. And the Staples Teacher Rewards is available to homeschoolers too! Click here to learn more about the Staples rewards or Staples Teacher rewards program.